Nikita is proudly of a mixed (Malaysian/Indian and New Zealand) background. Although she is now Sydney-based, Nikita is New Zealand-born, has lived in Melbourne, studied in Canberra and went on exchange to New York. Always a keen learner, she excelled in a variety of subjects at school, but drama was always her favourite. She was involved both on and off stage in many school productions. Upon completion, she placed first in English Ext 2 and received the Creative Writing Award. Nikita commenced a Bachelor of Politics Philosophy Economics at Australian National University (ANU), before she was accepted into NIDA. 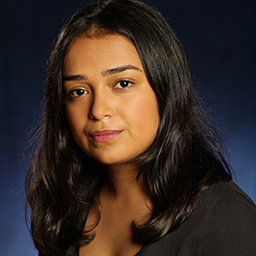 Alongside her studies, Nikita performed in National University Theatre Society productions, competed in Theatre Sports, was Head of Drama at John XXIII College and placed second in the ANU Interhall Talent Show. She directed the John XXIII College’s production of Cosi. Her work received Canberra Area Theatre Award nominations for Best Director, Best Production and won Best Ensemble. At NIDA, she served as President of the Student Council in 2016. 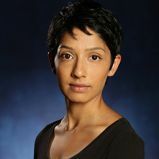 Following NIDA, Nikita looks forward to filming the pilot of a TV series she has written and performing in a web series All We Have is Now, a verbatim theatre piece Pidgin Project and in The Wolves at The Old Fitz Theatre. Vaishnavi is an Indian-born, Sydney-based actor. She graduated from the University of Sydney with Bachelor degrees in Arts and Law in 2017, and worked for the US Congress and UN Human Rights Council before coming to NIDA.